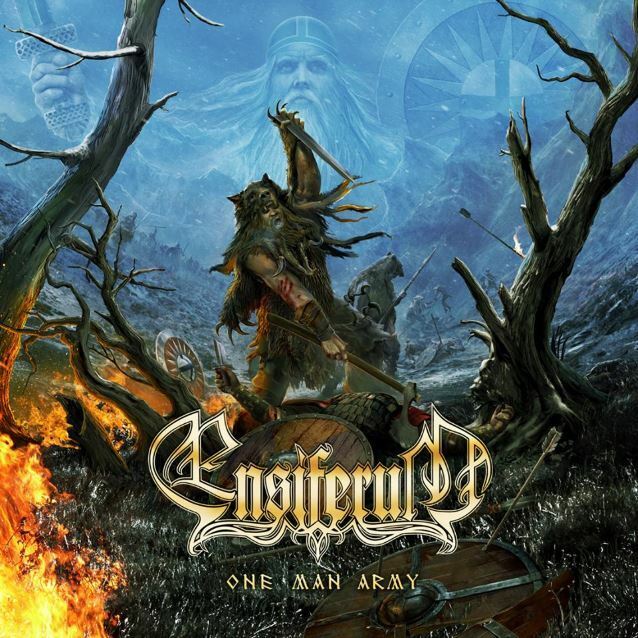 Finnish folk metallers ENSIFERUM will release their new album, "One Man Army", on February 24, 2015 (one day earlier internationally) via Metal Blade Records. The CD was recorded between September and November at Astia Studio in Lappeenranta in Finland with producer Anssi Kippo. Says ENSIFERUM bassist/vocalist Sami Hinkka: "Recording process was long, hard, rewarding and full of incredible moments. Instruments were actually played and left as they were instead of creating tracks from hundreds of different takes, moving them to the grid and modifying things. Of course computers were used, but overall, we made everything as analog as possible. 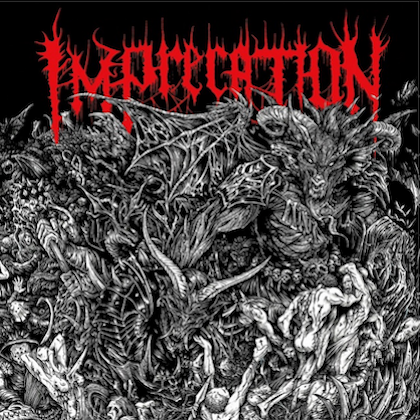 Listeners can experience a better sound and natural groove, something that we think most metal albums lack these days. Overall, the album sounds much more like a band playing live rather than "midi metal.'" 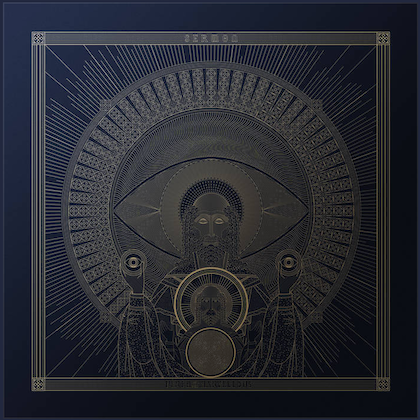 Commended by Outburn magazine for songs that are consistently "epic scope" with a "reliance on catchy melodies," ENSIFERUM's "One Man Army" serves as the follow-up to 2012's lauded "Unsung Heroes" full-length and boasts stunningly detailed, mythological cover craftings of renowned illustrator Gyula Havancsák (ANNIHILATOR, TÝR, ELVENKING, STRATOVARIUS). "On the new album, we took many things musically to the next level so we decided also to try something new graphics-wise," relays Hinkka. "Gyula Havancsák did phenomenal job! For the first time it was really nice to be more involved with designing the cover and all details. Our humble gratitude to Gyula for all the patience and really amazing results. We couldn't be more satisfied!" ENSIFERUM plans to return to North America in May 2015. ENSIFERUM's most recent album, "Unsung Heroes", was released on August 27, 2012 via Spinefarm. The CD was produced by Hiili Hiilesmaa (HIM, SENTENCED) at Petrax studio (CHILDREN OF BODOM, NIGHTWISH) in Hollola, Finland and other locations in the Hämeenlinna area.